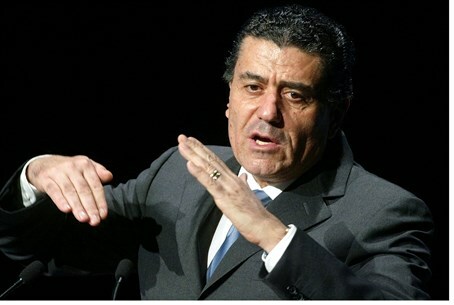 Partner owner Haim Saban says Orange gave in to anti-Semitic pressure in 'dumping' Israel, and warns of response. Speaking to Yediot Aharonoth, Saban explained that "Partner is completely an Israeli company. We signed a contract with them and we are considering our steps in response to the declaration." Hinting at the potential lawsuit, Partner CEO Haim Romano wrote employees on Thursday saying, "if Orange's owner France Telecom wishes to end its association with us, we will be happy to do so in return for the hundreds of millions of euros we have invested in the brand name Orange over the years. We will use this money to invest in our customers, and citizens, and our country." Saban noted that Orange recently signed a contract with Partner for ten years, explaining, "Orange is a brand name and Partner is the Israeli company with the exclusive rights to use the Orange name in Israel. Threats won't deter me. I'll continue to work in Israel and lead the national struggle for it (Israel)." Commenting on Richard's statements, Saban said, "no CEO of a foreign company will dictate to us who to serve, where to serve and when to serve the state of Israel," responding to the apparent motive of Orange's move being in the fact that IDF soldiers serving in Judea and Samaria are given cell phone coverage by the company. The struggle against the boycott movement against Israel is "a national issue of the highest importance and I was enlisted to it even before things directly affected a company I own," said Saban. "It's important that we be able to locate those who encourage the boycott against Israel and act against them with full force," he said. "At the same time, it's important that we show internal solidarity and defend those who may be harmed by this boycott. I call on the public in Israel to embrace Partner and to join us." Partner CEO Romano also responded to the decision on Thursday night, saying that Orange can't cancel its deal with Partner "unless it pays a lot." "We haven't received anything official, and it could be that this is an excuse or their way to avoid a process that maybe they want to start without coming to say that it's a political process, instead explaining it as part of a strategic tactic." "But it really doesn't matter to us so much how they perceive it," he continued. "We haven't received anything official and if we receive something official - we'll address it. For the meantime we still are demanding an apology and clarifications on what their CEO said." In a joint statement by outgoing CEO Romano and incoming Partner CEO Itzik Benevisti, the two said, "Partner has a long term agreement with France Telecom which provides Partner with exclusive usage rights to the brand name Orange in Israel. Partner has not received any sort of announcement regarding a cancellation of this agreement." "We note that France Telecom does not have the right to end the agreement for reasons of convenience, other than as a result of a change in its policy in terms of giving usage permits," they continued, going on to note the severity of Richard's statements and how their company is weighing its next steps. Earlier on Thursday Prime Minister Binyamin Netanyahu made mention of the Orange fiasco, noting that the company is partially owned by the French government and demanding that the government condemn the statements and moves of the company.